I am a firm fan of Ocado. Not only do they allow me to purchase tasty things with a Waitrose label on without visiting the giant hell-shed that is Westfield Shepherds Bush (my local branch), but they also deliver bulky and heavy things to my door. 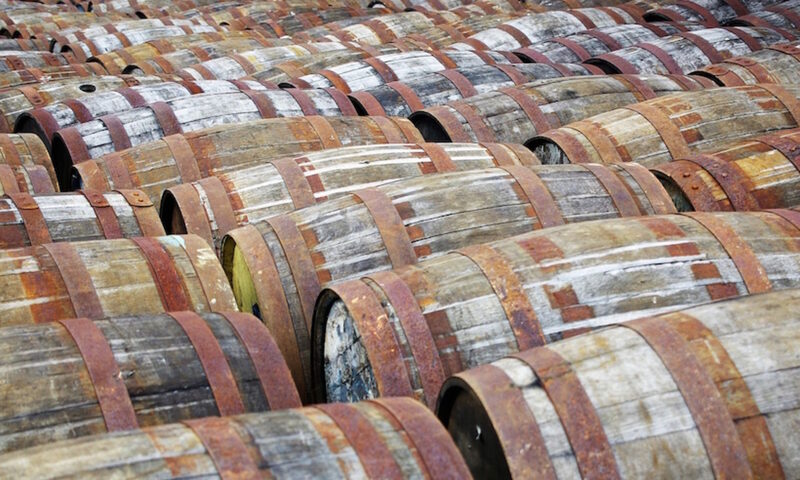 While that often involves the holy trinity of toilet paper, washing powder and tonic water (multipack cans – every G&T as fizzy as the last) there is another bulky item that often gets delivered. Beer. 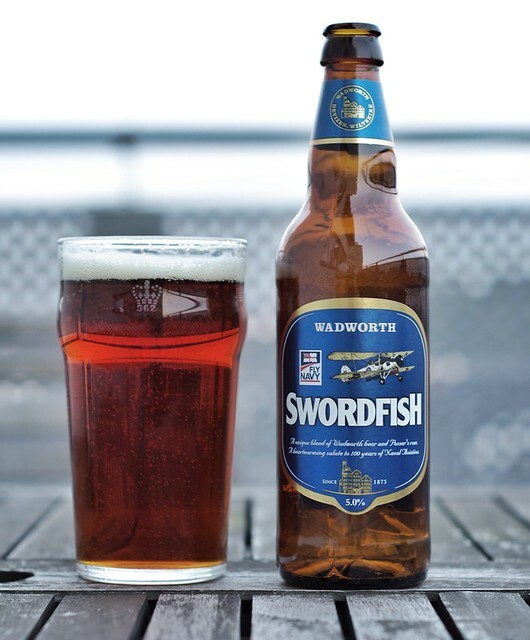 In my latest delivery there was a selection of beery treats, including post-#EBBC13 Pilsner Urquell supplies, although only one new one this time – Wadworth Swordfish. The thing that piqued my interest in the Swordfish was an additive to the beer – rum. It’s a special edition combining Wadworth 6x with Pusser’s Rum. 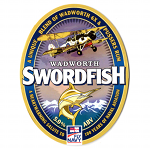 It’s bottled in honour of the 100th anniversary of the Royal Navy Air Service, founded on April 13th 1912, and named for the Fairey Swordfish, the torpedo bomber that was a mainstay of the Fleet Air Arm, the successor to the Air Service, during the Second World War. Anyway – the beer. On the nose it’s sweet and fruity, with brown toast, lots of estery malt and an underlying brown sugar syrup sweetness. To taste it starts off quite sour, with apple, apple skin and CO2, and quickly becomes quite sweet with fake fruitiness – a malty Haribo Tangfastic, maybe. It finishes with some hoppy green bitterness, but not even that cuts through the lingering sweetness. In the end quite an unbalanced and sickly sweet beer, showing off the worst bits of both 6X and Pusser’s Rum. Best bitter with added rum, 5%. ~£2 for a 500ml bottle. I got it in a buy 4 for £6 deal. I bought four. I wish I hadn’t.